Augentius is one of the largest Private Equity and Real Estate fund administration businesses in the world. It has solid track record of success of working together with leading fund management groups. Following corporate activity in one of their large clients, that fund group decided to put all their fund administration out to tender. Augentius management wanted to maintain and develop their relationship with the new entity. 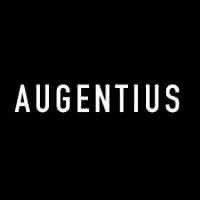 To do that they needed to differentiate their business from competitors and help the client to really understand what makes Augentius special. (1) BBA reviewed all the material prepared by Augentius for the pitch. (2) We simplified and refined the messaging and re-structured the presentations. The plan was to make them more client-centric and make it easier for the client to understand the great value provided by Augentius. (3) We then worked with the global pitch team to turn that messaging into a compelling presentation in support of the whole pitch process. (4) Finally we advised the team how best to deliver their pitches in New York and London. After a lengthy series of competitive pitches, Augentius secured its existing business as well as increasing its business further. Most importantly Augentius reinforced its relationship with the client across multiple operational hubs. They built a solid foundation for future growth. “The support from BBA was practical, insightful and invaluable. In a short time they helped re-shape our pitch, ensuring that it was much easier to identify the value we bring” said J.P. Harrop, Co-Founder and Group Head of Sales at Augentius. “It’s been a real delight working with the BBA team“.